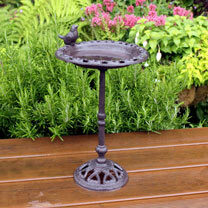 Water is important to aid bird health throughout the year and this product would ensure birds have space to bath and water to drink. 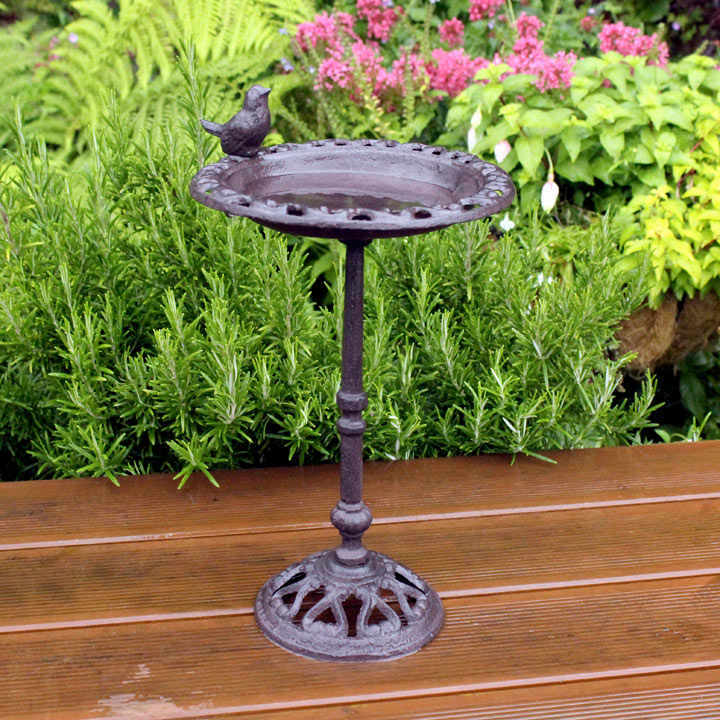 The stand-alone cast iron standing bird bath with decorative detail and ornamental bird feature would look great sitting on the patio or other hard standing areas. Height 38.5cm x Width 25cm x Depth 23cm.